This is the second time I’ve been taken by the ingenuity of American winemakers. In the review immediately preceding this, I described an inventive and refreshing rendition of an otherwise classical Rhone blend by an Illinois winery. Now I’m impressed by Domaine Berrien Cellars’ “2014 Polar Vortex White.” The story behind this particular blend, however, is rooted in the axiom, “Necessity is the mother of invention.” But it stands too as a testament to the creative abilities of visionary winemakers who live with the grapes and live with the weather they grow in and seem to have a communicative understanding with both. 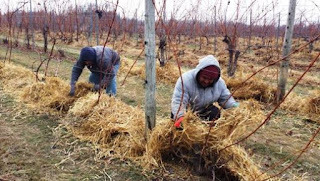 The last two winters brought unusually prolonged deep chill to Domaine BerrienCellars’ estate vineyards. With temperatures below -15F for several consecutive days, many of the vines suffered. Domaine Berrien Cellars is a member of the Rhone Rangers, a non-profit group of professionals dedicated to promoting Rhone grape varieties. Wally Mauer, co-owner and winemaker, grows other varietals too. Located in the Lake Michigan Shore AVA, and protected by the mass of water in Lake Michigan, moderated temperatures allow for growing vitis vinfera varieties. But two unpredictable winters back to back took their toll and many vines suffered. 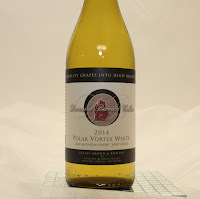 Polar Vortex White.” The wine is produced from premium quality grapes but sufficient in quantity enough to only allow for “boutique” production – 140 cases. It is a blend of 60% Chardonnay, 30% Viognier and 10% Sauvignon Blanc (all estate grown). In the glass, the wine is pale gold with a greenish hue. The Viognier contributes to the aromatic quality with fruity notes of lime, kiwi and unripe pineapple. Tasted on the second day, I enjoyed orange blossom and a hint of Earl Grey tea. But subsequent tastes brought me back to the fruity notes. I very much enjoyed this interplay with the senses, appreciating that such complexity doesn’t gift itself so often. Lime is a constant. It carries into the flavor, but it’s soft and intriguing. I enjoyed it along with more kiwi, sour orange, a hint of lemon and (if there was such a thing) a taste of hybrid orange-kiwi. The finish is tart, clean and crisp with flavors of tart green apple and lingering kiwi and lime. I didn’t pick up the violet and peach other tasters did, but we all have different palates and they all do what they do. Mine was quite happy with what this wine presented. I suspected beforehand that I would like this wine just by knowing its players. Viognier is classic at offering both aromatics and mouthfeel and the grapes’ aromatics hold up even when blended in a large portion with other grapes. I expected its low acid to be balanced by the higher acid of Sauvignon Blanc (and it was) and the cool-climate Sauvignon Blanc also reinforced the lime and green apple. Chardonnay makes for voluminous wine in the mouth and from cool climates yields green apple and lemon flavors. None of the juice saw wood, making this wine fresh and with aromatics and fruit being preserved instead of being obstructed or masked by oak. But all this is really more request than review. In truth, by the time you read this, supplies of this limited production may be gone. So the request is issued in conjunction with hope that this year's winter will be more traditional, and that yields will be sufficient to allow continued production of this blend - not as a necessity of innovation but as recognition of a good thing. 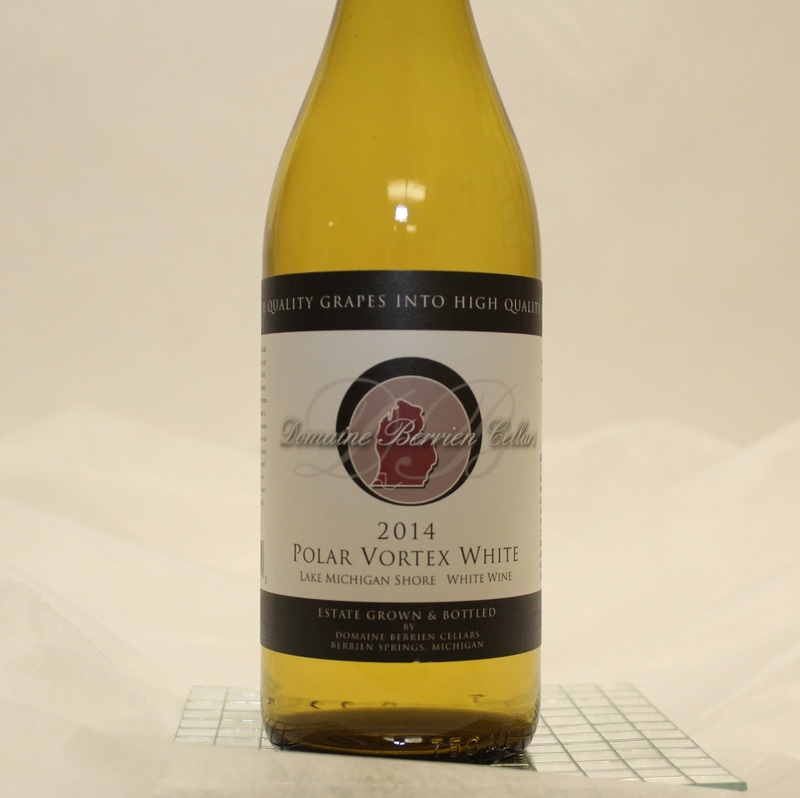 “Polar Vortex White” took Bronze Medals at both the Indy International and Mid-American Wine Competitions in 2015. But it was all golden to me, and I’d enjoy having it again. · Follow Wine Mizer on FaceBook for recipes, fun facts and mini reviews of wine.